Huawei took the 12th spot on Brand Finance Global 500 2019! 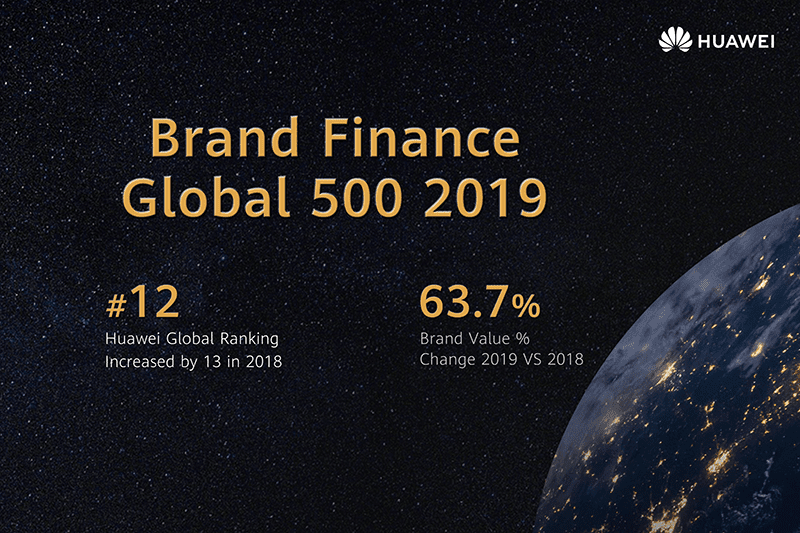 Home / huawei / mobile / news / Huawei took the 12th spot on Brand Finance Global 500 2019! Brand Finance just released its most recent rankings of the most credible global brands in the world, Huawei took the 12th spot this year of 2019. Number 12 out of 500 brands! To recall, Huawei is the 40th brand in the world last 2017. Then they moved up to number 25 last 2018. This year, the Chinese leader in tech is now at number 12. 2018 is a great year for Huawei despite all the recent negative allegations (no proof) of espionage from the Americans. The company has released the P20, Nova 3, and Mate 20 series last year. All of them are strong line of phones. The result, Huawei is up by 13 spots in just 1 year. The brand shipped 200 million units of phones worldwide last year. Huawei has also defeated Apple as the number 2 smartphone seller in the world. Huawei said that this success is due to the company's commitment to technology innovation and R&D investment.